Mangum Elementary After School Care is a program for K-5th graders. They started a cooking class that they do twice a week. All children are involved in the program, where they cook, prepare, and are taught about new foods that they have never had before. The children also prepare all the food when we have a celebration in the classroom. This teaches the children how to safely prepare and measure food. They are able to take their recipes home and prepare food for their family. They love to prepare new things and are so excited to be a part of the cooking team. They have chef hats and aprons for the children and this really makes them feel appreciated as a chef. The afterschool class also has a volunteer that comes in every week to introduce new vegetables and fruits that some children have never tasted. It is a great experience for them to taste and realize that they like something that they have never tasted before. The cooking teams are also learning to clean up their space when they are finished with their projects to have a nice, clean, sanitized kitchen. 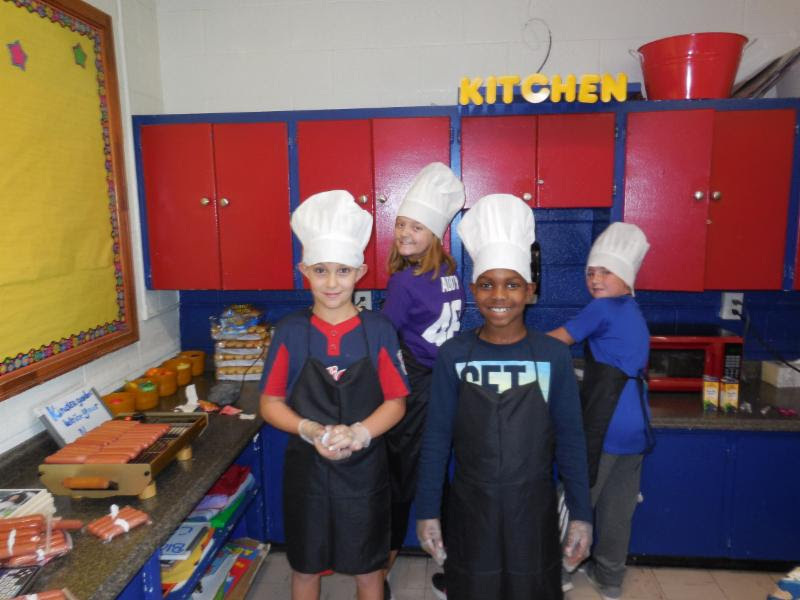 So many things can be taught through cooking and Mangum after school is learning it all.